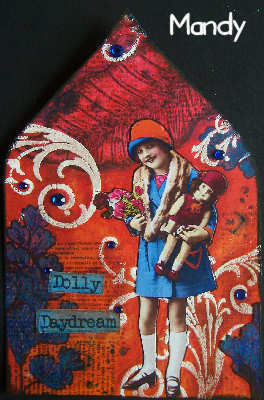 Our hostess this week is Mandy who has selected the theme “My Doll and Me”…isn’t her arch just darling?! What do you invision with this theme? A favorite childhood doll? teaparties with little girls and porcelin babies? We want to see your creations in gothic form! This weeks theme of ‘My doll and me’ was chosen by me because I have a fascination of vintage dolls… they intrigue me and yet are quite scary too. I have a little collection of images which I have been dying to use so I thought being the hostess this week on Gothic Arches would be the ideal opportunity to use one of them and to also see what everyone else comes up with. I cant wait to what you create! Wonderful Theme. Here is my arch. TFL. What a fun challenge today! Thanks MAndy. Also, if you look at the previous post on my blog, there are 2 vintage images of children for you to download and use as you like. My entry is here ! Fun challenge! Here’s my take. Can’t wait to see everyone’s art on this theme! I Love dolls! It’s really me and my doll. Dit is mijn bijdrage voor vandaag. This is my entry for today. still on time my entry for today. Wonderful theme this week-thank you! Another wonderful theme for the challenge this week! Sorry, it didn’t make a hyperlink. I’ll try again. I’m having a stupid day, I guess. I’m trying to post this again. This is my doll, my sister, and I. Here is mine. I think I had a typo in the others. i just love this weeks theme! here’s mine for the week. Great theme! Here’s my first attempt at the Gothic Arch Challenge, my thanks to Karen Owen for inspiring me to participate! i really enjoyed doing this,thankyou it was a great theme.